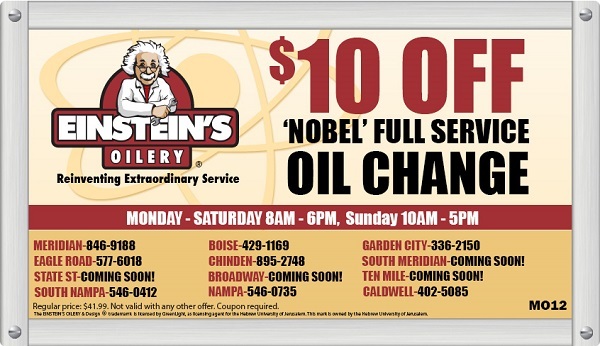 Einstein’s is a homegrown, Idaho company; owned, operated, and founded right here in the Treasure Valley. 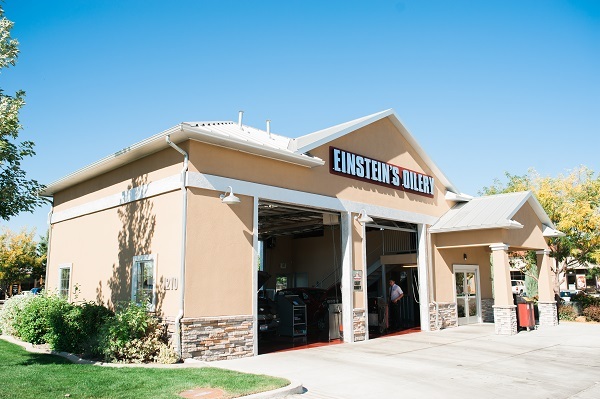 Thanks to your loyalty over the years, we’ve grown from a fledgling Meridian start up to operating 8 locations across the valley. 2019 will see this growth continue as we open four brand new stores! (Eagle Road in South Meridian, State Street, Broadway, and Franklin and Ten Mile) Without question, none of this would be possible without the incredible support we have continually received from this amazing community! You have truly made us what we are! Thank you Treasure Valley! 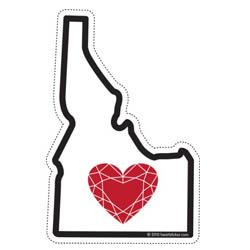 Beat the chains; buy local, buy Idaho. Show the above coupon on your smartphone to receive discount.